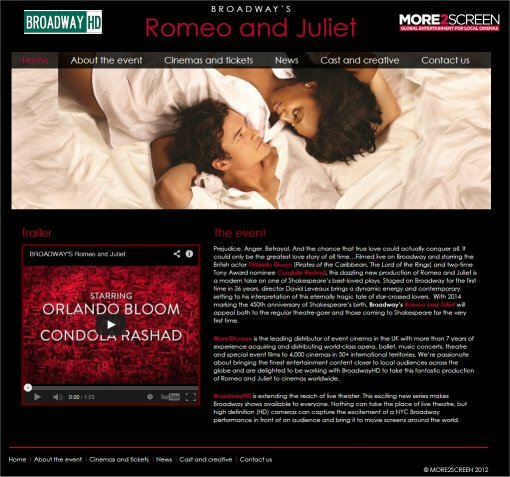 The publicity agents of the Romeo & Juliet screenings in the UK have sent us details of the promotional microsite. Broadway's Romeo & Juliet is in UK cinemas nationwide from 1st April. Sunstar tells me that it has no new information that we haven't already seen, but it's good to see that it's being promoted. Absolutely! Good news for all the UK ka-bloomies.